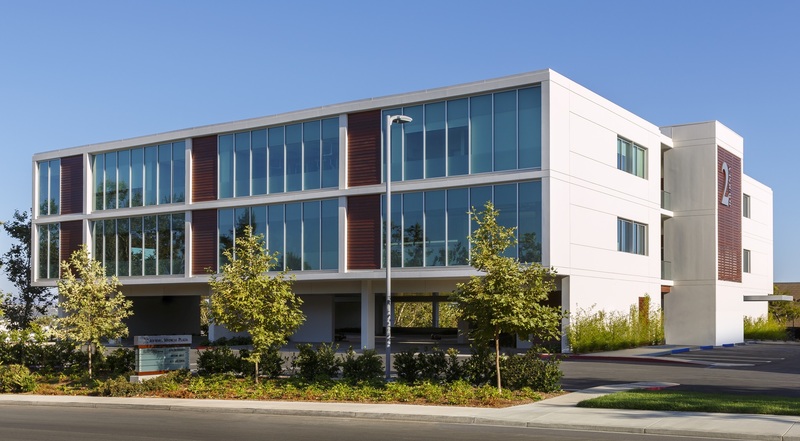 A leading developer and operator of Medical Office Buildings in Orange County. Mr. Alaghband is the Co-founder and President of ACS Development Group and brings with him over three decades of experience in the field of Real Estate Development, Investment, and Property Management. Prior to founding ACS, he got his start in North Carolina as a land developer and tract builder with his father and then moved to California in the 1980s to develop commercial and multi-family residential projects. Early on, his entrepreneurial spirit combined with an engineering background positioned him to recognize the growing need for well-located and design-oriented medical outpatient facilities. Mr. Alaghband co-founded ACS in 1997 and over the years has evolved its expertise from commercial construction to being a specialty real estate developer and operator in the medical office building industry. As President, Mr. Alaghband has led ACS to become a leader in the evolving healthcare delivery system in Southern California and is directly responsible for the development and operation of more than a quarter million square feet of medical office and surgical facilities in Orange County. Mr. Alaghband is a serving board member of Irvine Spectrum Transportation Management Association. He earned a Master of Science degree in Civil Engineering from North Carolina State University, is a licensed real estate broker and was formerly a registered Civil Engineer. Full-service partner, quick decision-making, efficiency and flexibility. ACS Development Group is one of the leading Healthcare Real Estate developers in Orange County, California. As a full-service partner, we provide excellence in Healthcare Real Estate Development, Investment, and Property Management expertise to our tenants and investors – our clients and partners. Our mission remains to fulfill the high standard we set for ourselves— To bring the best healthcare and wellness settings to the communities we serve, creating well-designed environments where tenant partners can thrive and provide their patients the highest standard of care. As one of the few remaining privately owned developers with local expertise in Healthcare Real Estate, we share the benefits of faster and more efficient decision making and remain flexible and responsive to our clients’ needs. ACS has earned respect and trust of clients and investors and has gained the reputation as a company that operates with the highest level of integrity and professionalism. Our special expertise in the Healthcare Real Estate field comes from an understanding and foresight about the evolving landscape of the Medical and Wellness field in the United States. Thanks to established relationships with the leading architectural firms and tradesmen in Orange County, our buildings are highly acclaimed for excellence in design and construction. We aspire to build and manage healthcare facilities that would instantly put a patient in an environment of ease and comfort and create a workspace for healthcare professionals to thrive in taking care of their patients. Our goal is clear- to deliver building and operational excellence to high-quality healthcare environments for our tenants and their patients. ACS provides in-house professional property management services for its completed projects and takes pride in providing a first-class service to its tenants. ACS’ properties are designed with keen attention to architectural details while creating functional spaces that intuitively serve the requirements of our medical tenants and enhance the comfort of their patients. ACS’ TI projects are highly acclaimed for blending a design-oriented approach with lean design and construction practices. ACS has established relationships with many reputable health system tenants including Tenet Healthcare, CHOC Hospital, Quest Labs, Surgery Partners, First California Physicians, and CareMore. Capital decisions and risk management are paramount to lenders and investors. It is critical to partner with experienced specialty developers like ACS that have access to strong financial resources and development expertise. ACS has partnered with various private sources of capital to finance its development projects and has established banking relationships with several leading lenders to finance projects, including Wells Fargo Bank, Commercial Bank of California, Mechanics Bank, First Bank, Lincoln Life, Standard Life, and Sun Life insurance companies. Over thirty years of industry experience gives us strong asset procurement and management capability. With every new project and building, we consistently seek opportunities to enhance the quality and delivery of care to patients and productivity for healthcare professionals. © 2018 ACS Development Group, Inc.